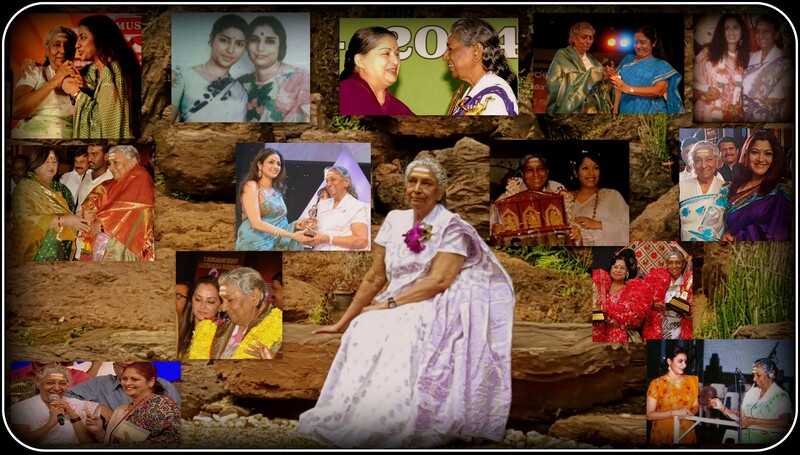 Faces of Voice – S Janaki and her heroines!! 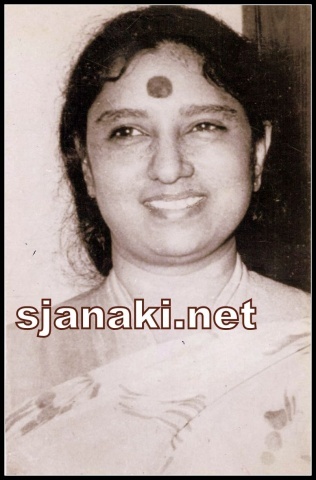 This article is an analysis of the artists S Janaki gave playback for. It is quite difficult to get a complete list of all artists. How ever, started with 300 artists now and will be updating the list with more artists in future. Dubbed movies are not considered for this. She sang for almost all heroines from 50′s to 90′s. Irrespective of number songs sung per artist, she gave prominet hits to many heroines. She sang for artists like Sridevi & Jayaprada in Telugu, Tamil, Kannada, Malayalam and Hindi and for many artists like Sarada, Lakshmi, Rajasree, K R Vijaya, Radhika, Suhasini, Sujatha, Latha, Bhanupriya, Ambika in 4 languages.. It is difficult to determine to which artists she sang the most. We shall continue analysis on that but it might be some one around 80′s heroines of Tamil/Telugu Cinema like Ambika, Bhanupriya, Radhika, Revathi or Kannada actress like Manjula, Kalpana, Jayanthy, Aarthi, Bharathi or for Malayalam artists like Saradha, Sheela as she gave regular playback to all these artists. In terms of longevity, it is actress Sarada for whom she gave hit from 60′s to 90′s. If she gave hits like “Podhigai malai uchiyile” to Devika, she gave hits like “Manguyile Poonguyile” to her daughter Kanaka. Similarly she gave playback to few more mother-daughter artists like Sandhya-Jayalalitha, Ammaji-Jayachita and Lakshmi-Aiswarya. She recorded debut songs for many heroines like Radhika, Radha, Ambika, Oorvashi, Revathi, Roja etc… However most interesting is her debut singing for Bhanupriya as she got to sing her first songs in Telugu, Tamil, Kannada and Hindi Cinema!! Her songs for kids became quite popular and she gave playback to many of them. In terms of number, it may be Baby Shalini for whom she sang maximum number of such songs. She sang for few artists when they were kids and rendered beautiful melodies when they became heroines as well. Most prominent among them is Sridevi for whom she sang her debut song as child artist in Telugu movie “Maa Nanna nirdoshi” and also rendered some of her career best melodies. Similarly, she sang for Shobhana, Meena, Raasi, Bhavya and others also. Among heroes, she sang for likes of Mahesh babu, Simbu, Puneeth Rajkumar when they were kids . she gave playback for male actors like Veerabhadra Rao and Nagabhushanam also. Interestingly, she gave playback for playback singers L R Easwary, Sailaja also. Not only for heroines but she gave playback to almost all prominent dancers in South and North Indian cinema together also. Though she sang for almost all of them from Helen to Disco Santhi, she formed a hit pair with Silk Smitha during 80′s. Jayamalini would be close second in number of songs/hits from SJ. She sang for Silk Smitha and Anuradha in Telugu,Tamil,Kannada, Malayalam and Hindi. She gave playback to many North Indian heroines like Hema malini, Rekha, Sharmila Tagore, Tanuja, Madhuri, Juhi Chawla, Divyabharati etc… As mentioned earlier, Dubbed movies are not considered in this analysis hence artists like Preety Zinta (for Nejinile), Urmila (for Taniye Taniye), Raakhi (for Jeevana Samaram, dubbed version of Jeevan Mrityu), Jayabadhuri (for dubbed version of Uphaar) etc.. are not listed below. Actress in Odiya and other languages are yet to be added. Below is playlist of the songs mentioned here. Some songs are not available in Youtube and will be added soon.